During its time at sea, the kite-assisted ship traveled a total of 11,952 nautical miles. During the time that the kite was deployed — which lasted anywhere from a few minutes to up to 8 hours — it pulled the ship with up to 5 tons of power at force 5 winds — a relief of more than 20% on the ship’s engines. Projected onto an entire day, this performance by the “Beluga SkySails” represents savings of about 2.5 tons of fuel and more than $1,000 a day. As this is just the initial stage of a pilot program expected to last 12 months, company officials are gearing up for more ambitious testing in future trips. A kite that is twice the size of the original will soon be deployed for double the energy productions and cost savings. The Beluga shipping company is even considering passing on these savings to the crew as an incentive. Nice! 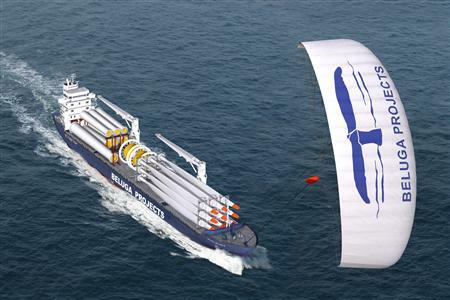 For more on this successful voyage — the future plans for kite-assisted ships, jump here.